Alrighty guys and gals, I have some good news and some bad news. Bad news first, you say? Okay -- the bad news is that summer will soon be coming to a close. Yes, I cried too, but we can get through this together. The goods news is REV’IT! has our throttle twisters covered as they are releasing some new gloves for those colder riding conditions (I know, referring to hands as “throttle twisters” may be a bit of a stretch, but we’re going with it). REV’IT! is coming at us with the new Aquila H20, the Sirius H20, and the Women’s Pegasus H20 Over Gloves. These new gloves will be offering a great combination of quality protection accompanied with great tactile feel. If I haven’t lost you yet and you want to hear more about these bad puppies, keep reading. Who likes pancakes, PrimaLoft, ice cream, and pizza? Everyone? That’s what I thought. While you are on your own for the pancakes, pizza, and ice cream, the REV’IT! 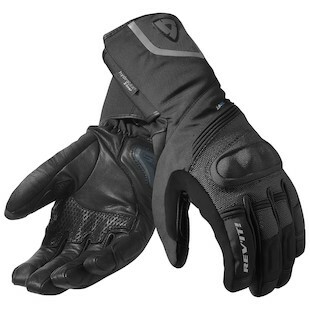 Aquila H20 Glove will help you out with the PrimaLoft insulation. For those of you who are not to familiar with PrimaLoft, it is a synthetic microfiber thermal insulation that was developed for the military back in the day. It is very thin but does a great job at maintaining heat. Basically, if a bee had some knees, these gloves would be it. Do bees have knees? The Aquila H20 Glove is also accompanied with REV’IT!’s proprietary Hydratex waterproof and breathable layer, TPR hard-shell knuckle, and it has a TPU hard-shell palm slider. If you are looking for a winter glove with good protection, tactile feel, and quality insulation, take a nice gander at the Aquila H20. REV’IT! likes Sirius Satellite Radio so much they named a glove after it. Okay, I am just gonna come clean on that statement and let you know I am not certain on REV’IT!’s point of view on Sirius radio is. With that said, who doesn't like satellite radio am I right… guys? REV’IT! 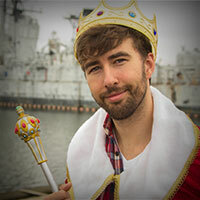 has introduced the new REV'IT! Sirius H20 Gloves, which are going to be winter oriented gloves to keep those precious fingers nice and comfy. This glove is not quite as beefed up as the Aquila H20 but it should still prove to be a lethal weapon for those chilly rides. 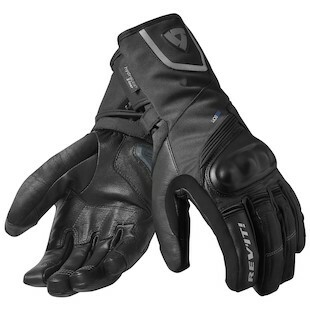 The outer shell is made up of 64% goat leather, 30% polyester, and 6% polyurethane. The Sirius radio, I mean glove, will also be keeping the TPU hard-shell palm slider which is always a nice bit of protection to have. I feel it can often be a bit challenging to find a winter glove that offers good protection without being overly bulky but I think REV’IT! has done a great job with these gloves. Where my ladies at? While I know a lot of the women’s riding gear can be a bit scarce at times, REV’IT! is not leaving you with cold fingers this season. Lets be honest, if you are anything like my lady, unless her hands are being scorched by a flame thrower, they are never warm enough. The REV’IT! 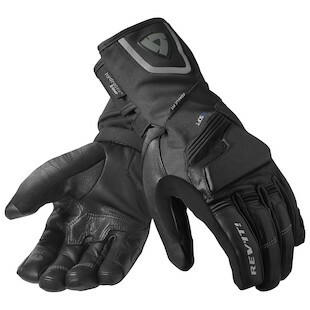 Women’s Pegasus H20 Gloves are essentially the Sirius H20 Gloves, but with women’s hands in mind. Now fellas, I know some of you have some dainty hands and there is nothing wrong with that. If you need to wear a Pegasus H20 glove for proper fitment you go right ahead and do so. Follow your heart (uhhh, or your hand…?). You will still get the TPU hard-shell palm slider, good knuckle protection, nice thermal liner, and a REV’IT!’s Hydratex waterproof and breathable layer as the Sirius H20 Gloves. Ladies, if you are looking for a winter glove that is not cutting corners on quality and protection, I think the Pegasus H20 Glove could be a great option to add the gear closet. I know most of us do not really enjoy riding in the winter but having the right gear will make all of the difference. I also know we covered a lot today, did we actually talk about the gloves? I know we touched on flamethrowers, pizza, and whether bees have knees. Did anyone find out if bees actually have knees…? Anywho, I hope you picked up some knowledge on these new REV’IT! gloves along the way. I think REV’IT! is setting us up for success with their new gloves and I cannot wait to put them to the test. Also, as it turns out bees do in fact have knees, Google is pretty cool.